The early 1980s would become notorious for horror movie censorship. During that period, the VHS boom would provide new possibilities for low-budget filmmakers looking to make their mark on the industry, and many independent producers leapt on the bandwagon in their attempts to cash-in on this modern phenomenon. The majority of these movies were dire to say the least, relying on cheap promotional tactics and shock value to garner attention in an increasingly competitive market. The slasher genre’s cynical approach to teenage slaughter would lead the way, but a barrage of exploitative flicks would seep into the public consciousness, brutal revenge pictures such as I Spit On Your Grave and notorious ‘snuff’ movies like the long-fabled Faces of Death traded on the pirate market as VHS became the latest industry to come under fire. This was following America’s infamous ‘Satanic Panic’, an absurd anti-rock campaign that spread through the country like wildfire. Both were blatant attacks on our civil liberties. All of this would lead to a moral panic that culminated in the Video Recordings Act of 1984, and a list of 74 banned movies dubbed ‘Video Nasties‘ by a tabloid media looking to exploit affairs. With the backing of a British government looking to capitalise on an outraged society, the cynical horror revolution was brought to a crashing end. In hindsight, it all seems just a little silly. Of the 74 movies deemed unfit for public consumption, precisely none of them seem worthy of the various instances of legal action that saw movies confiscated, filmmakers prosecuted, and in some cases even suspected of committing genuine acts of murder for the sake of a few dollars. Most of those movies are not nearly as graphic as public and political outrage would suggest, and the vast majority are so poorly made it is impossible to digest them on any serious level. 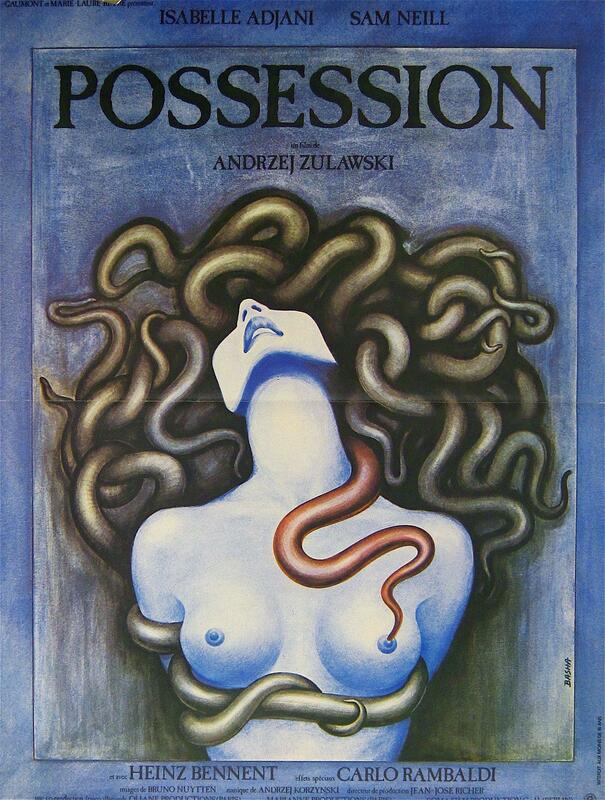 There are anomalies — artistic endeavours by the likes of Dario Argento and Lucio Fulci to name but a few — but none are more anomalous than Andzej Zulawski’s Palme d’Or winning psychological horror Possession. Released in 1981, the movie was promptly banned in the US, re-released two years later with an incredible 43 minutes of cuts. Still, it is like nothing else you will find on the ‘Video Nasties’ list. It is a purely artistic endeavour, but one so bizarre and nerve-shattering it’s easy to see why a room full of prudish pencil pushers subjected it to commercial damnation. Anna: I can’t exist by myself because I’m afraid of myself, because I’m the maker of my own evil. In essence, the movie is a love story; or, more accurately, a tale of tragic co-dependency that sees two partners repeatedly drawn to one another under a series of abstract and increasingly non-linear circumstances. Written by Zulawski in the midst of his own messy, real-life divorce, it chronicles the tempestuous dissolution of a relationship and the complete emotional breakdown of its subjects. The title Possession has a cute double meaning, but for one of those subjects it veers more toward the supernatural. In Anna, Isabelle Adjani creates a monster to match any movie made in the strictly horror mode, giving a theatrical tour de force that culminates in the film’s most startling and controversial scene. That scene sees Adjani succumb to a bout of turbulent thrashing, a nerve-shredding despair manifesting in the kind of bile-coloured excretion that wouldn’t look out of place in The Exorcist — an incident that her character describes as a moment when she ‘miscarried faith’. So gruelling was the nature of her award-winning performance that Adjani claimed it took her several years to recover, an emotional hardship that is worth its weight in gold. Not content with one startling portrayal, Adjani takes on a dual role as her son’s teacher, a doppelgänger who seems to represent better times. Anna’s husband, Mark (Sam Neill), caught in a whirlwind of paranoia and self-delusion, is momentarily stunned by the appearance of his wife’s identical, a reaction that immediately dissipates as the softer, caring version of his love intermittently replaces Anna in their home and offers protection for their previously abandoned child. It is through ‘Helen’ that Mark is able to overcome his sense of inescapable longing, until she ultimately dissipates under the weight of his obsession with the lost Anna, who by now has relocated to a grungy, abandoned apartment in West Berlin. With her adulterous endeavours, Anna seems consumed by indecision — imprisoned by her domestic life and the responsibility of her son, Bob, and drawn to enigmatic philander Heinrich (Heinz Bennent), a quasi-spiritual intellectual who justifies his marriage-killing tendencies with notions of existentialism, offering Anna the freedom she desires. Initially, Heinrich becomes the antithesis of Anna’s suffocating domestic situation, his mantra of having “nothing to fear except God” fed by a decadent diet of psychedelic drugs and free love. In the end, Anna sees through his renouncement of ownership, and he becomes just another victim in a series of grisly murders, acts of self-cleansing that seem tied to notions of salvation — a fact punctuated by various visual references to Christ’s Crucifixion. Cold War Berlin acts as the perfect backdrop for such a paranoid and destructive emotional environment. Images of the Berlin wall are prevalent throughout, and there seem to be eyes and ears everywhere. There are armed guards, oddly duplicitous neighbours and private investigators who masquerade as police acting on a tip-off — a transparent nod to the Stasi secret police of East Germany, who linger but a stone’s throw away. Mark himself is a former international spy, harangued by his employers after relinquishing his post, a reference to the tenuous politics of the era and a sense of distrust that borders on self-hatred. Mark’s spiralling and non-linear narrative reflects the actions and feelings of a nation divided by madness and rotten from distrust. It is here that the movie takes another unexpected shift towards body horror. Like David Cronenberg’s The Brood, Anna’s sense of regret and emotional anguish manifests in a living entity, a polymorphous monster that becomes her live-in lover. This faceless, multi-tentacled organism seems to represent a sense of control for Anna, the chance for a fresh start as it regenerates in a manner reminiscent of Hellraiser‘s ‘Frank the Monster’. It is here where characters, at least in their physical form, become interchangeable, speaking to the inescapable nature of love and the perpetuating human comedy. Zulawski’s film is a relentless siege on the nervous system, with a series of startling images and the kind of frantic, claustrophobic framing that exposes every last shred of anguish, particularly in a series of frank interactions and feverish monologues delivered directly into the lens. Scenes of self-harm and mutilation may have lost a little potency over the years, but the movie’s literal horror is merely a vessel, and pales to the almost ceaseless emotional assault and disorientating lack of convention. Helen: We are all the same. Different words, different bodies, different versions. Like insects! Meat! The movie has a nightmarish logicality. This is how it feels to be trapped in a lawless and inescapable dream, one of unyielding conflict that slips from one realm of despair to the next for a seemingly infinite stretch of time. But beneath the visceral, Zulawski is a compassionate director searching for truth and beauty beneath the many layers of humanity’s sentient beast. His movie is deeply philosophical, and arrives at its discordant juncture through the pain and hardship of self-evaluation. It exposes our self-defeating complexities and the passions and urges that drive them. It highlights our capacity for madness beyond the safety of the human construct. Anna and Mark’s relationship is doomed from the outset, but due to notions of familiarity, loyalty and a peculiar sense of ownership, they are drawn together inescapably, both in their past and current forms, as well as the re-imagined forms they contrive to manufacture. Characters may be tenuous and interchangeable, narrative and location may jolt without warning or explanation, but all of this adds to the emotional uncertainty, and amidst the madness there is one constant: their fated pairing, however tragic, is scorched with inevitability. 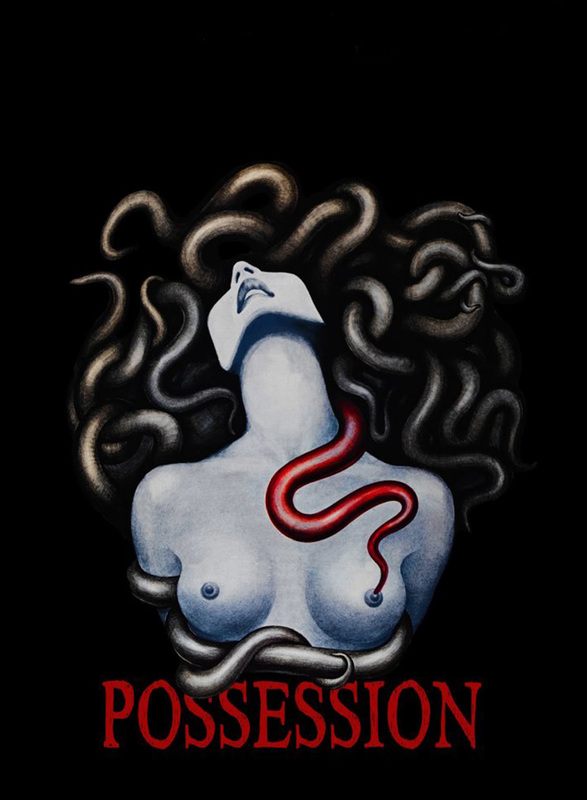 With its intense study of a crumbling human relationship, Possession explores notions of philosophy and religion, inescapable paranoia and impotent rage. It is political, metaphysical, and wildly subjective. It is not horror in the conventional sense, but as with movie’s like Roman Polanski’s Repulsion, the real horror lies not in its visual embellishments, but in the all-too real fragments of a degenerative mind, and the tenuous nature of freedom and stability.